Disgustingly, some Christian pastors publicly celebrated the massacre at the Orlando gay nightclub in their sermons, on Youtube, and on their blogs. I will not provide links. Other conservative evangelical pastors were actually shaken enough to reconsider their approach to the Bible and the LGBTQ community. In the last month, a Canadian family who let their son die of diabetes because they believed Jesus was enough to cure him were condemned in court for murder. Children's death by believers in the christian tradition of faith healing happen every year in the United States and Canada. 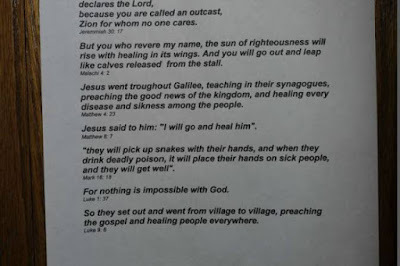 It is obvious to those outside of their sects that they have read the Bible too literally.Yes, in the gospels Jesus does heal many people of illnesses. In the Acts of the Apostles, his disciples heal some people as well. There are indeed promises that some afflictions just need more prayer and that anything good asked of God will be granted. But experience has proven to be a regulator on how literally some promises should be taken. (Evidence photo found here.) Jesus is not always enough to keep people alive. Sometimes insulin is needed as well. Bible translation is not simply replacing a hebrew, aramaic, or greek word for an equivalent in the receiver language. In the wake of another mass shooting in the United States of America, some of us declare our country's need for Jesus. 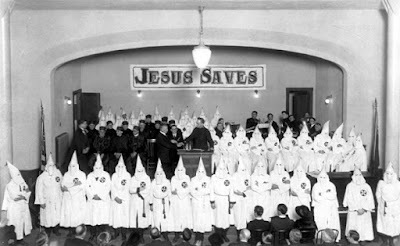 Yet, as this picture shows, Jesus is not enough. Turkey has recalled its ambassador from Berlin after German MPs approved a motion describing the massacre of Armenians by Ottoman forces a century ago as genocide – a decision that the Turkish president said would “seriously affect” relations between the two countries. Those whose families were traumatized by Turkey's actions are grateful for the acknowledgment of their suffering. Turkey's offense over this acknowledgment is so notorious there are even several wiki articles about it. Here is one. It's not like Germany doesn't know anything about committing and apologizing for genocide.